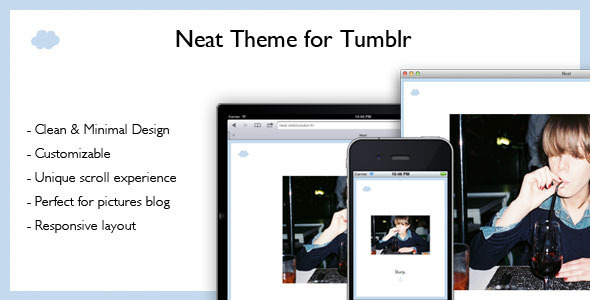 Neat is a Tumblr theme which provides a classy and clean experience especially for pictures blogs. It features an unique and original scroll experience for your visitor. Indeed, I have written a jQuery plugin especially for this theme which allows to use the size of you window for each post and obviously the layout is fully responsive. You can use your keyboard to navigate or better, if you click on the first half of your browser you scroll to the top and… if you click of the second half of your browser, you scroll to the bottom. But that’s not all, you can enabled a amazing effect when you scroll. 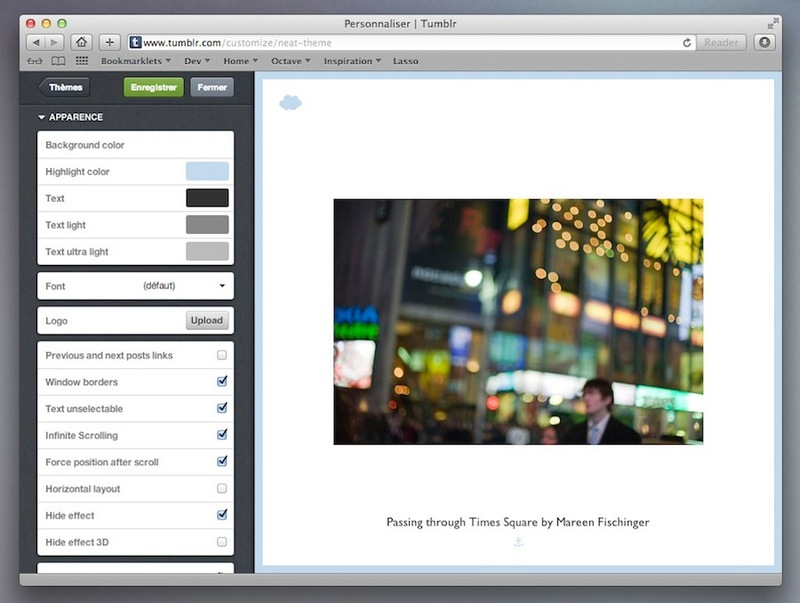 Take a look to the demo to see it in live. 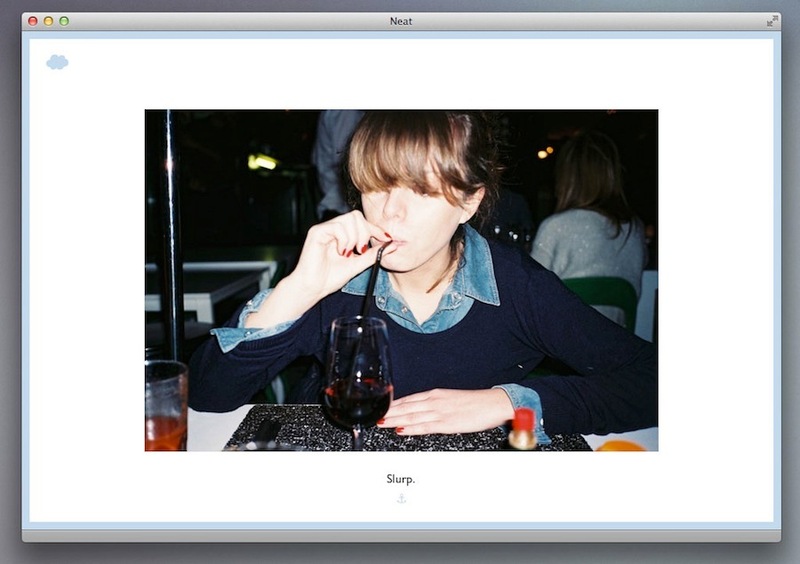 Note: Neat isn’t designed for long post. And please be aware the hide effect on scroll is disabled for compatibility reasons on iPad and iPhone. 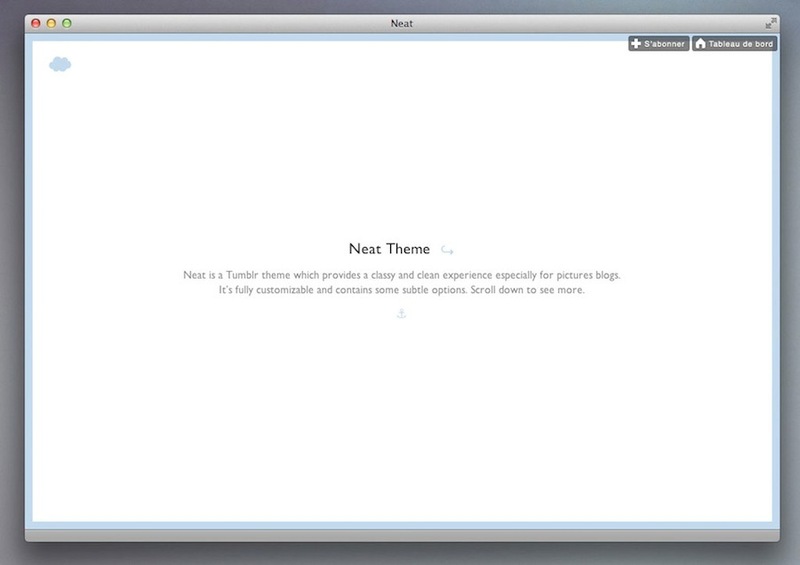 CSS and JS files are hosted by Tumblr. Please post any questions that you have or send me any bugs you find (or any feature that you would like to see added). I will be happy to help and would be very useful to keep this theme updated, improved and bug-free.